Augmented reality being introduced to Google Maps puts users firmly in the shoes of the firm’s ‘Street View’ avatar, overlaying directions on the world around them. The new feature will offer real time navigation using a smartphone’s camera to scan buildings and landmarks. The updated function will direct users based on what they see in front of them, rather than by looking at the blue dot on a Google map. It is currently being tested by a select group of Google’s Local Guides community who earn points by writing Google reviews. An official date for making the new Map feature available to all users has not yet been released. 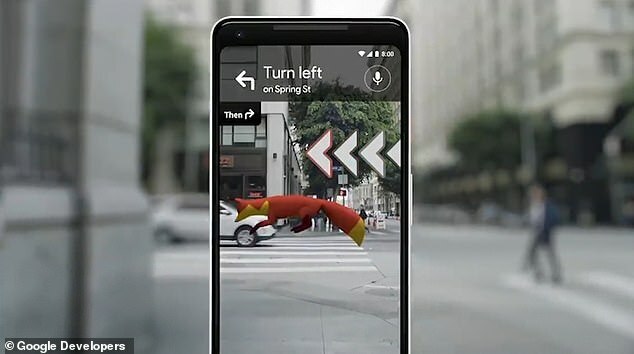 The new AR street map feature was revealed in a demo video made by the Wall Street Journal yesterday. The video shows the user holding up his phone while in Google Maps and the camera scanning what it sees in front of the phone. Once the landmarks have been recognised by Google Maps and is locked through the GPS system, information about those landmarks appear on the screen.